Netflix has become the go-to service for finding the latest and greatest movie and television programming. An Israeli startup called Inception wants to do the same for virtual reality. 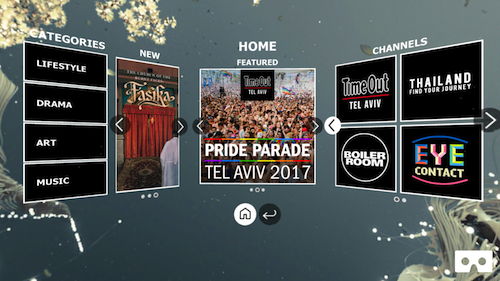 The Tel Aviv-based company operates as both a production studio and an aggregator of curated virtual reality (VR) content. On Feb. 6, it announced the launch of a new channel to introduce more VR into the news experience, offering 360 top Associated Press (AP) videos across a broad spectrum of historical, cultural and social topics. The channel can be downloaded from the Inception app across platforms including Oculus Rift, HTC Vive, Microsoft MR, Samsung Gear, Google Daydream, iOS and Android. Inception, which first caught Israel21c’s attention at the launch of the Tower of David Museum’s Innovation Lab last fall, received a $15 million investment in August 2017 from European television conglomerate RTL Group. 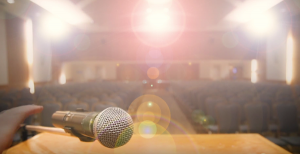 The Series A round also included angel investors James Packer, Gigi Levy-Weiss and iAngels. RTL’s FreemantleMedia owns the rights to dozens of big-name television shows, which helps explain where Inception is going. For example, Inception wants to use VR to transport viewers truly behind the scenes of the reality TV program The X Factor. Imagine standing beside the singer – or sitting with the judges watching the performance – in a 3-D immersive and interactive environment. Right now, that experience has to be pre-recorded but, someday, VR users will be able to jump into a program as it happens. Live streaming is “already technically available today and we believe that, with the right content it will become mainstream,” Inception chief executive officer Benny Arbel told Israel21c. Or, here’s another scenario. Imagine exploring in virtual reality the Shadow Monster’s tunnels in the Upside Down on the hit Netflix show Stranger Things. Inception’s focus on serialized TV sets it apart from other VR companies like Within and Here Be Dragons, which produce beautiful but mostly one-off VR experiences. Among the dozens of VR entries on Inception’s website are collaborations with Time Out for virtual walks through exotic locations (from Thailand to Tel Aviv) and FashionTV, where you can sidle up to a super-model as she heads down the catwalk. Inception has standalone projects, too: a partnership with Pitchfork is the driving force behind the pop culture magazine’s new VR Music Channel. And Inception is developing a VR experience that transports visitors to the world of medieval knights at Jerusalem’s Tower of David Museum. Inception’s VR content is video-based. Depending on which way you turn your head or make a gesture, a new video will be triggered. This is a bit reminiscent of Israeli pop-star-turned-startup-maven Yoni Bloch’s Interlude, now renamed Eko, which develops tools for making interactive (though not VR) videos. Inception was founded in 2016 by Arbel, Dana Porter, Effi Wizen and Nitzan Shenar. The company’s 30 employees are spread out in offices in London, New York and Los Angeles, in addition to the Tel Aviv headquarters. Inception is “platform agnostic,” Arbel stressed. That means its content “will play well with all the different kinds of headsets out there,” including Oculus, which Facebook acquired for some $3 billion in 2014, as well as Samsung’s Gear, the HTC Vive and Microsoft MR.
Arbel added that new and improved headsets come out every few months and the next generation of the Oculus may be the “hero device that changes things for everyone.” According to Statista, the installed base of VR headsets is projected to grow to 37 million by 2020. What about the kind of virtual experiences made terrifying by science-fiction TV shows such as Black Mirror, where the VR is broadcast directly into a user’s mind without the need for goggles or other external hardware? In the meantime, and for those without a headset, Inception’s VR experiences are available on the Apple and Android app stores. For more information, visit inceptionvr.com.